The head greenkeeper of Hazel Grove Golf Club in Cheshire has set up a successful Facebook page that provides mental health support to greenkeepers in the industry. Mike Davie created the page after observing “the increase of expectations of the golfer with increased personal abuse aimed at, and stress among, the greenkeeping community”. He added that he’s known greenkeepers who have left the industry due to this, and therefore set up the page ‘Greenkeepers mental health support group’ earlier this year. It already has more than 250 members. “Mental health issues are more apparent nowadays as more seek medical help,” he said. “Yet little support is offered from many golf clubs and duty of care is apparently not seen as a necessity. “One of the problems is that clubs are run by well-meaning volunteers, which means when they need to discipline members for acts against the club’s staff, they don’t want a confrontation with their ‘friends‘ and would rather brush the matter under the table and resolve the issue by providing a polite pat on the head of the greenkeeper. This all creates a feeling of isolation within the industry. “Any sign of acknowledging a problem by oneself is deemed as thought of being weak, so we tend to bottle it up, causing greater problems. “In late 2017 I attended a stress awareness seminar by BIGGA at Sale Golf Club and realised that, by the number who had attended, and the fact that many are highly respected within the industry, we had a problem with mental welfare. “I started a local support group in south Manchester for greenkeepers who wished to attend and talk out their problems. The realisation that we are not alone made a huge difference. The feedback I got was positive so the Facebook page was started in late July. “This group does not always need people to comment but, as I have been told, the fact there is a page that can be accessed gives strength to someone feeling down. “A big problem with our industry is that it is a high percentage negative industry. For example, you lie in bed listening to the rain, wondering how the course is affected. Will there be breakdowns, will all the staff turn up? The first thought of seeing a committee member is ‘what’s their complaint?’ and so on. “These sites help to promote the fact we are not alone and in fact are a strong community we just need to tap in to, build bridges and connect more. I think it’s a fantastic idea, and it’s been very popular. It’s nice to know your not alone. What a fantastic idea Mike. I was in the trade 33 years, and was head greenkeeper/course superintendent at 3 clubs. As you mentioned, the stress levels were always high because of expectations, particularly in New Zealand with so many relatively low budgets. Many overseas greenkeepers often marvelled at how we managed. A big problem faced with greenkeepers in the trade is we end up ‘living the job’…24-7, stemming from the fact we have a massive passion for what we do. Unfortunately there are times where it doesn’t matter how hard we try, under trying circumstances, it seems not good enough…this is where the problems start. Let me know if I can be of assistance in any way as I truly believe this is an area of this trade sorely over-looked. 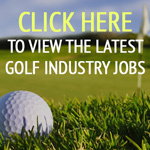 Ace Golfer on Would having British Summer Time for the whole year help the golf industry? Tom on What will Tiger Woods’ astonishing comeback mean for golf participation? Peter on Would having British Summer Time for the whole year help the golf industry?